History Workshop: What's YOUR Park Ex? 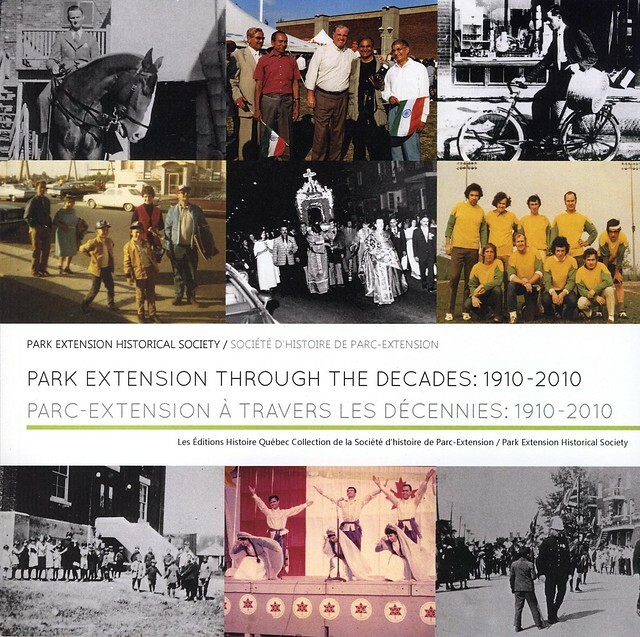 In honour of the 100th anniversary of Park Extension, the Centre d’histoire de Montréal is preparing an exhibit in 2011 on the history of the neighbourhood with the collaboration of the Park Extension Historical Society. To complete our research and encourage citizen engagement, we are looking for people who know the neighbourhood well and would like to share their memories with fellow Montrealers. The Centre d’histoire de Montréal, the city’s museum, is inviting citizens of Park Extension—young and old, recently arrived or well-established—to participate in a training workshop on how to collect and present memories. Are you interested in the history of your neighbourhood? Are you interested in getting involved in collecting and sharing memories of your neighbourhood? Would you like an opportunity to share your experiences of life in the neighbourhood? Would you like to learn how to collect, organize and present memories and stories (through writing, photography, exhibits, interviews, etc.)? The workshop will be held Saturday morning, December 11th, in Park Extension (exact time and location to be confirmed upon reservation). Call Catherine Charlebois at the Centre d’histoire de Montréal: 514 872-3284. Please reserve quickly, as places are limited!